We love sushi, yes we do! We love sushi, how ’bout you????? Ummm, can we like say this class is going to be AH – MAZ-ZING! The class will teach you how to make 2 basic sushi rolls. 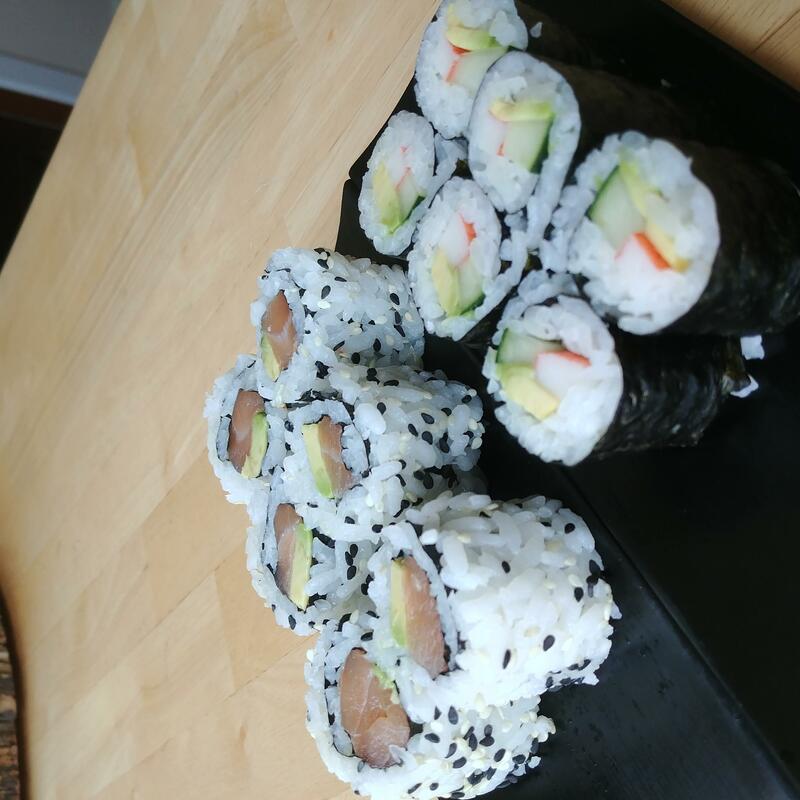 One California roll, and one salmon and avocado, or tuna and avocado roll. Each student will be given all of the supplies, and tools needed to make the rolls.